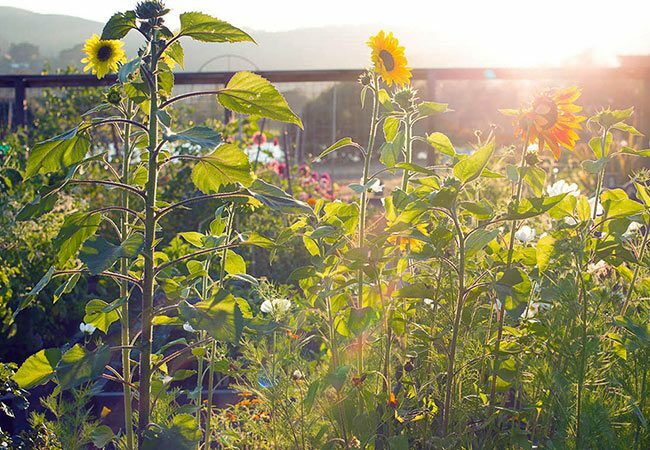 The secret to growing a thriving vegetable garden is to follow nature. Grow companion plants and edible flowers to build diversity into your garden. A quick look at any healthy, living system reveals a clamor of diversity: plants of different kinds keeping company while a mix of good bugs and bad ones busy themselves with the routine of daily living. You’ll find a variety of birds and most likely a host of creatures you don’t recognize — but they’re part of the puzzle too. When a garden is designed as a slice of life, the rewards are greater than a colander of snap peas or a bumper crop of tomatoes. Your garden is your most immediate touch point with nature, a welcoming place to play and contemplate, and when you look to companion plants such as edible flowers to build diversity, you now have a greater variety of robust and aromatic ingredients to savor from garden-to-table. You may have heard it said that carrots love tomatoes but should never be planted with dill. Or that beets and mustards should never be planted side by side. I almost always grow basil near tomatoes because they improve their flavor (or so I’ve found). These theories may be true. It makes sense that there’s chemistry between plants, generally following along the lines of affection, tolerance, and dislike. However, I find it helpful to consider companion planting as a means for natural pest control, building soil ecosystems, and creating habitat for pollinators. Grow bush or pole beans below sunflowers to naturally fix nitrogen in the soil. 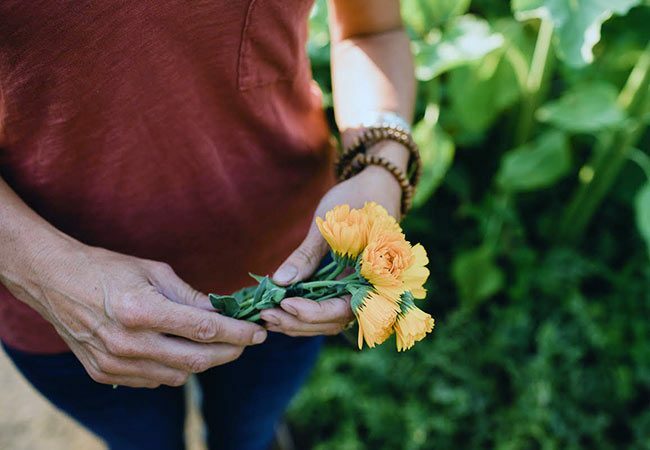 Inter-plant calendulas and onions with vegetables to confuse pests like carrots flies and cabbage white butterflies, throwing them off the scent of their preferred host plants. Place nasturtiums in the corners of beds or plots to lure aphids away from your more prized edibles, and embrace chaos. (Or at least a little bit of chaos.) You’ll soon find that cultivating diversity in your garden with companion planting makes caring for it easier and you get flowers! There are a host of edible flowers that double as fabulous companion plants. 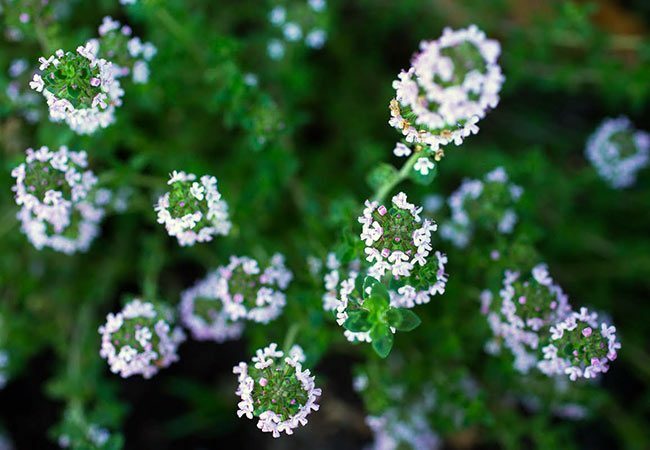 Chive flowers offer the same onion flavor as their leaves and are some of the first to bloom in spring, providing forage for early season bees. Grow sunflowers for their seeds. Leave some for the birds and put the rest away for a winter snack. Nasturtiums produce bright, peppery blooms that toss beautifully into salads and are a favorite of bumble bees. (You’ll often see them crawling in only to fly out moments later weighed down with pollen.) Throw the leaves in with your greens and pickle the green seed pods — they’re perfect, homemade capers when you need them in a pinch. And there’s more! The list of edible flowers that fill the role of companion plants is lengthy. Below are some of the edible flowers I find most versatile. The Grow What You Love Book written by me, Emily Murphy, is a food centric garden book featuring the stars of both the garden and the kitchen. 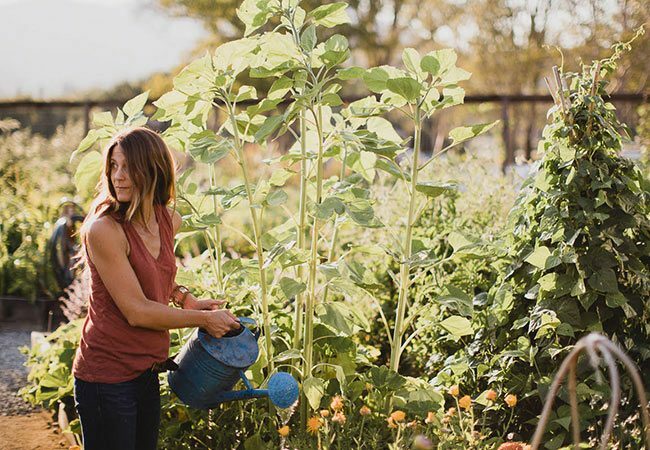 It includes recipes, how-to tips for starting or fine-tuning an existing garden, plus loads of ideas for companion planting and building diversity into gardens — because when you grow what you love, you’ll discover you’re growing more than a garden. When we build diversity into our gardens by way of edible flowers and companion plants (including herbs), we’re creating habitat. It’s now a mecca for birds, bees, and butterflies. It’s a place to play, contemplate, and share. And together our patchwork of gardens make a difference. In the book you’ll find greater detail and planting design ideas, including helpful (and inspirational) illustrations and photos. I hope you enjoy it and find ways to grow what you love! 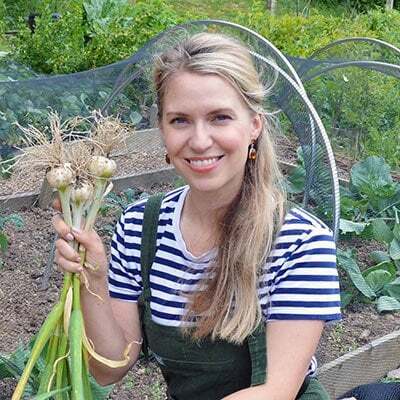 Emily is an expert gardener and author of Grow What You Love. She is a writer, photographer, and cook. She grew up gardening, studied ethnobotany, environmental science, and garden design. Many of her years have been dedicated to garden education, teaching and running school gardens and supporting community gleaning programs. She spent her childhood in the far reaches of Northern California between her grandmother’s homestead in the Sonoma foothills and her hometown, a tiny college town near the Oregon border. She discovered that food was just as easy to find and grow in both places, it just meant thinking about it a little differently. Lovely Greens is giving away a new copy of Emily’s book, Grow What You Love. Enter for a chance to win it by leaving a comment! Tell us why you’d like the book and you’ll get a second chance to win if you share your favourite companion plants and edible flowers. The winner will be announced in the comments below and in the Lovely Greens Newsletter (Subscribe in the website footer) on Friday, March 30th. Giveaway open to those in the United States, Canada, European Union, Australia, New Zealand, the United Kingdom, Isle of Man, and Channel Islands. Fantastic post, Tanya! I love to try new things and I haven`t tried edible flowers! Will try to grow some! I have never eaten flowers and plants that you have mentioned in the post. But I am very curious to try out at least some of them. There is a lot of buzz around your book in the comments, seems quite interesting. I do not live in the US, so might download it on Kindle. I would love to win! I am always looking for more ideas on companion plants. I always plant my basil with tomatoes. My favorite edible flower is the nasturtium, though watching bees on my basil flowers when that happens is also special. I would love a copy of this book. This year I have started growing nasturtium, borage, calendula, and bee balm for the first time. I can’t wait to read how to use these flowers! Enjoy watching your videos. I too, am a gardner(organic), chef and beekeeper. This book would be a welcomed addition to my library. I need this book !!!!!!!! I’m new at this but I really like the idea of companion plants and want to learn all about it. I would really love this book because I could use it to garden with joy. I love your gardening ideas. I love beautiful books. I have a lot of children and would love to pass it on generationally. I have two children with chronic illnesses and I’m home a lot I would love to look outside my window and see something beautiful I put my hands in to grow. I am an avid gardener, and have an addiction to gardening books! Yes I would love to win this book ! I moved to California in the country by way of Massachusetts and want to know what to plant where 😉 Thank You for the opportunity! New ideas and other people’s suggestions are always usefull. I would love a copy of your new book. Looks marvellous and I know it will be useful. I would love the book as I am seeking some peace and quiet in my very hectic and stressful life. The last two years have been horrible medically and personally. I am getting into beekeeping and gardening and know I need mentoring and guidance in both. This would be a wonderful addition. We have just moved in to a new home and absolutely love it. Problem is that the previous tenant left the garden in such a state. My parents have always been avid gardeners and only in the last couple of years have I shown an interest. I am driven to make my garden beautiful but as a relative novice could do with some pointers. That’s why I would love a copy of your book. I want to make our house a home and as I work nights, family time is at a premium. What better way to talk over our day/night at school/work than sat amongst the butterflies and bees having our tea on the decking. Always trying to work on what to plant where in my garden. 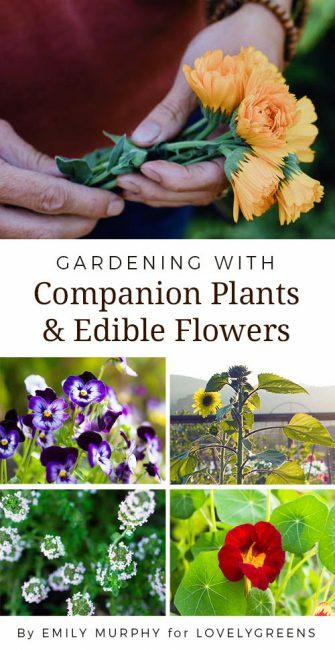 Would love to know more about companion planting so this book would be ideal. And love to use edible flowers like nastursium and chives. Just starting out my garden this year in our place and I hope to make it as ecologically friendly as I can. Looking for some nice ideas! I’m in love with the whole concept of growing what you like, as my biggest problem is staring at planting places for ages and trying to come up with something stunning , seasonal delicious and practical. The book would be a great tool for someone like me who has the space finally but is overwhelmed by indecision! My favourite edible flowers and leaves has to be nasturtiums and also borage to add to a glass of Pimms at the end of the day. My favorite edible flower is the SUNFLOWER!!!! I planted Mammoth Sunflowers 2 years ago and it was such a JOY!!! I kept 2 mason jars full of seeds, left a few on the flower heads for the birds and donated some to our seed e change….so fun…my kids and i neighbors really enjoyed watching them grow sooooo tall!!! Hi, would love to win a copy of your book, this is my 3rd year gardening and ive had great success with flowers, i plan on trying herbs and veggies next and i think your book could really help along the way. Thank you and i love your posts on Twitter, the articles always seem to come along at a perfect time for me. I’d love to win a copy, I love my garden! My favourite companion plants are nasturtiums with everything, and I like to grow my carrots amongst my walking onions to keep pests away from the carrots! i love every post you do.i love gardening.i also do my soap whit my owne flowers. I oversee an educational garden. I love teaching the kids about edible flowers and would like to learn more about companion planting! Sounds like an awesome book! Lovely book, Tanya! I enjoy discovering new unusual varieties to grow and this book will be a great help! 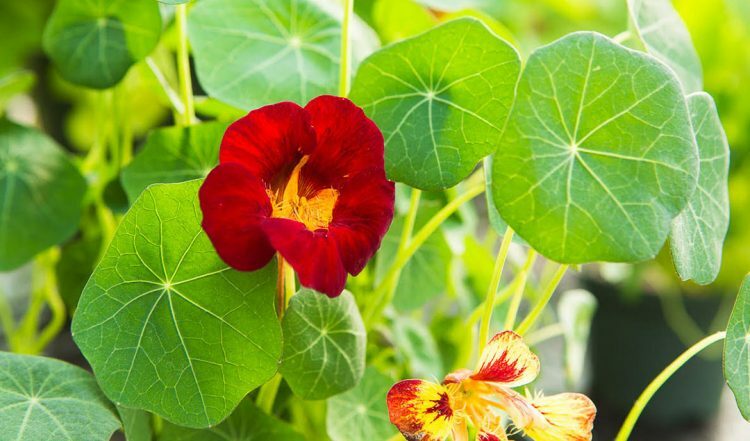 My favourite are nasturtium flowers – both flowers and pickled seed pods! I would also like to try daylily flowers this year! I always thought I didn’t have a green thumb in me. For years I’ve seen my mother grow just about anything. Since starting a new life after a marriage breakdown and finding love again I’ve turned a new leaf and found so much healing in growing what I love. I would love a copy of your book to expand my knowledge on edible flowers and share what I’ve grown. I have been changing up my garden to incorporate many herbs as well as vegetables and flowers. The book sounds just what I need to help me complete my vision. The only companion planting I know is Calendulas alongside the vegetables. Well I believe you when you say the book is a stunner,that makes me want a copy. One of my favorite flowers to eat are arugala flowers. It adds interest and a delicious flavor to plain salad greens. Thanks for your videos and news letters. They are always great. A new and very special gardening book, yes please! Emily’s way of gardening sounds like gardening with extreme passion and hart, just the way that I want to be gardening. I could learn a lot from her, so please do send me the book. I do eat many flowers as I wander about the garden and the countryside and I think Rose petals and Gorse flowers were my favorites last year, I wonder what this year will teach me? 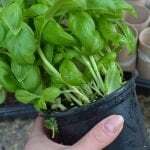 As a newbie in home gardening, I have a voracious appetite to learn about all things on organic growing and doing more with less cost. Though am happy to start small (am building a hoop house from a dog pen now), eventually I want to turn this high plateau desert land (7200 ft, Taos County) into a permaculture heaven for us humans and the small animals, the winged and crawly ones (that live in balance with us), and especially deepen my connection and love for Mother Gaia, Giver of all life on this earth. I’d love to use this book to help my garden dreams come true! I would really love to own this book, my garden is pretty much under control (I have about 1 1/2 acres of garden and lawns.) 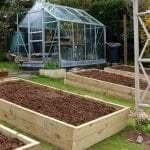 I would love to help my daughter, a working mother to set up her smaller garden as a place she would enjoy to spend time in and maybe get to love. I guess dreams are free. Sounds like an amazing book, I’m sure it would look good on my bookcase (when I’m not devouring the information lol). My tip would be to plant lettuce as a sacrificial crop with sweetcorn and squashes. Beetroot is also effective, although as I like to eat/ferment as much as I can, I want to keep as much as I can. Lovely looking book, just finished a garden makeover, built the beds, filled them with best quality, well rotted Manx horse manure and they’re ready to go! Looking to plant them up with something practical, productive, and pleasing to the eye. 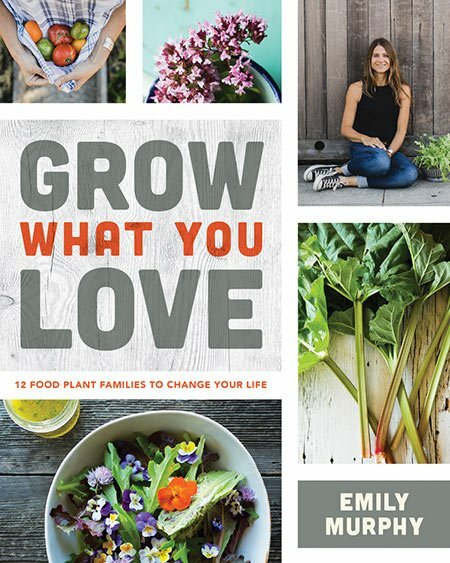 Enter for a chance to win Emily’s new book, Grow What You Love, by leaving a comment here! Tell us why you’d like the book and you’ll get a second chance to win if you share your favourite companion plants and edible flowers. I would love a copy of your book. Trying change my gardening style and try new ideas. We’re just about to start growing our first ever vegetables in our first ever garden and this book would help us to start off on the right foot. I love the idea of introducing a bit of natural chaos to make our garden more efficient! I would love this book to build my knowledge of what to grow. I love my gardening and all that it produces. Thank you. I would love a copy of Emily’s book to give to my wife. She’s retired and loves her gardening and I’m sure she would get some fabulous information from it. I love gardening & admit I am an amateur with no clue when it comes to companion planting. But fortunately with some luck I have manage to grow sunflowers, strawberries, a prickly pear cactus & a store bought strawberry plant (this one I am just keeping alive after 4 previous ones that didn’t live). So I could use all the help I am sure to find in the lovely book if I was the one to win it.